This Tork Hand Towel Roll System is ideal to us in highly used washroom areas. 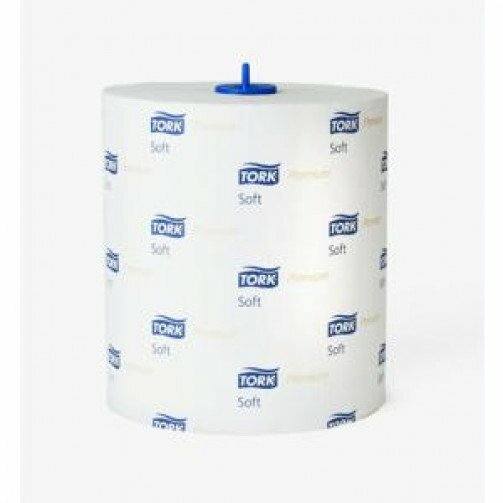 These Tork Hand Towel rolls are 2ply, soft and highly absorbent, the high quality of these rolls means you use fewer sheets to dry your hands which reduces cost in the long run. Extra soft , quality towels that are gentle to your hands drying them quickly and thoroughly. These Tork hand rolls are to be used in the H1 Tork dispenser. Case of 6 rolls x 100m per roll.